Up to 60% Off GTA V Money Steam. Limited time offer. Up to 23% Off FIFA18. Limited time offer. Up to 20% Off PC North America. Limited time offer. Up to 15% Off Final Fantasy XIV. Limited time offer. 59% Off EA Access 1 Month Xbox One CD-Key. Limited time offer. 22% Off Monster Hunter: World Steam CD Key EU. Limited time offer. 10% off sitewide. Limited time offer. World Of Warcraft Expansion Legion EU CD-Key, 10% off . Limited time offer. Guild Wars 2 2000 Gem Card,10% off , . Limited time offer. 10% Off FIFA 18 2200 FUT Points DLC Origin Key Global PC. Limited time offer. 10% Off Forza Horizon 3 / Forza Horizon 3 Credits / PC. Limited time offer. 10% Off Forza Motorsport 7 / Forza Motorsport 7 Credits / PC XBOX ONE. Limited time offer. 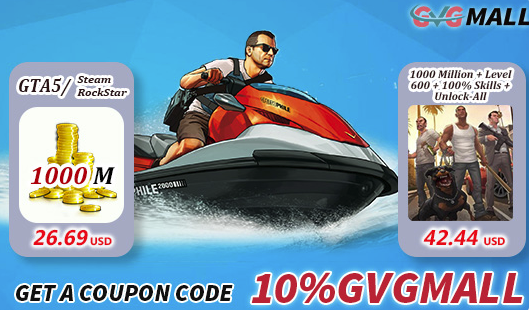 10% Off Grand Theft Auto V / GTA V Money / Steam RockStar. Limited time offer. 10% Off Grand Theft Auto V . Limited time offer. 10% Off The Elder Scroll Online Gold. Limited time offer. 10% Off Ragnarok Re:Start. Limited time offer. GVGmall as the most competitive tradeing platform for virtual service on MMORPG ,It has been over 12 years of developing . We already have over 1 million registered members,from more than 100 countries worldwide, You can safely supply game related needs such as game golds, items, prepaid cards, Power Leveling from this market. After years of operation, our website is so well-known for gamers all around the world; we guaranteed to supply personalized service and products to worldwide game players.